You won't want to miss the Annual Garden Walk "A Bouquet of Gardens," the second Sunday in July from 1-5pm. 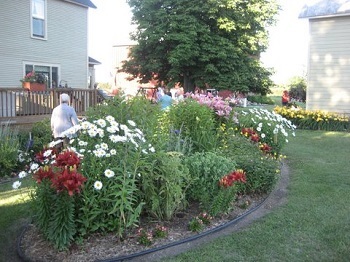 Sponsored each year by the Mason County Garden Club, impressive gardens from local residents are featured in the garden walk. Tickets may be purchased in advance at Cartier Mansion, The Giving Tree or Orchard Market. Ticket Price is $10. On the Garden Walk day, tickets are available at any of the featured gardens. Interested in more local gardening events? Check out our Annual Gardening Events story.